Sunrider® knows you’ll feel the difference the moment this light, herbal after shave touches your skin. Kandesn® After Shave is the all-natural alternative to harsh and abrasive skin bracers. It helps to tone and tighten skin with a gentle herbal formula. Kandesn® After Shave combines herbal extracts, amino acids, natural oils, and emollients in a unique formula to freshen and hydrate the skin. Because of its superior formulation, Kandesn® After Shave is the best alternative to other brands of harsh stinging after shaves made with inferior ingredients. Apply Kandesn® After Shave liberally to face after shaving or as desired. 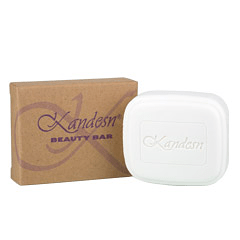 Indulge yourself in the luxury of a Kandesn® Beauty Bar. It’s Sunrider’s exquisite”soapless” soap that comes in a portable recyclable container. Its lightly acidic formulation parallels the natural pH balance of the skin, so your skin feels cleansed but not dry. Do the pH test and see for yourself how even expensive brands of retail beauty bars are alkaline and will therefore dry out your skin. That’s why we call our Beauty Bar a “soapless” soap, because it is so exclusive and special. Wet hands or body. Lather up and rinse off. 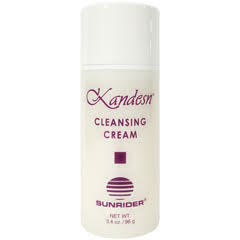 Kandesn® Cleansing Cream is naturally mild and ideal for removing oil-based surface impurities and makeup. It is the first step in the Kandesn®Basic Skin Care Regimen.With a blend of herbal extracts that moisturize while cleansing, Kandesn®Cleansing Cream effectively cleanses without stripping the skin of its natural moisture. It’s formulated with a slightly acidic pH to harmonize with the skin. Made with an exclusive combination of superior herbal ingredients, Kandesn® Cleansing Foam moisturizes naturally while cleansing gently yet effectively. 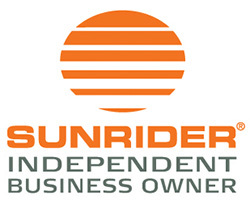 The exclusive Sunrider® is slightly acidic to be in balance with the skin’s natural pH and to harmonize with the skin. Add a small amount of water to a pearl-sized amount of Kandesn® Cleansing Foam to activate. Rub until foam lathers. Apply gently over face. Rinse off with warm water and dry with a clean, cotton cloth. 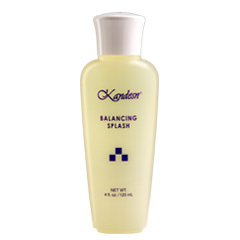 Follow with Kandesn® Balancing Splash and Kandesn® Deep Moisture Lotion. Made with an unusually high percentage of the valuable and superior ingredient Squalane (vegetable origin), Kandesn® Concealer harmonizes with the skin’s water-to-oil ratio. 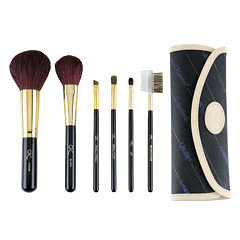 Plus, it nourishes delicate areas around the eyes and lips as it hides irregular pigmentation. 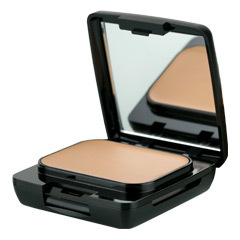 Our Concealer covers imperfections or blemishes without feeling cakey or clogging your skin. 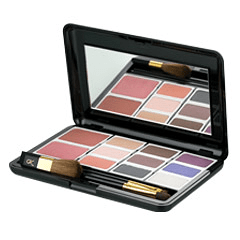 Another benefit is that it provides an excellent base for lip contouring and helps keep lip color fresh. 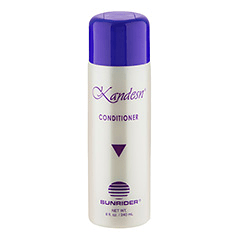 Kandesn® Conditioner helps you comb through hair easily after shampooing. It helps to fortify your hair and prepare it for styling. Kandesn® Conditioner is formulated with wheat protein, keratin and specially developed amino acids to help rebuild and strengthen hair. Sunrider’s gentle formula does not use harsh synthetic agents that can irritate the scalp, and it conditions without weighing your hair down. After shampooing with Kandesn® Shampoo, apply liberally and allow hair to absorb nutrients for 3 to 5 minutes. Rinse. Formulated from exotic herbs and other natural sources, Kandesn® Crazze® contains a blend of florals, essential oils, natural essences and is available in a beautifully designed bottle that is in an elegant gift box. It’s also available in an atomizer that is refillable. Crazze® has a sweet top note (initial scent) of pikake and white ginger, a very sweet heart note (transitional scent) of rose and citrus fruit, and a base note (lasting, lingering scent) of tropical flowers and fruit.